Both the titles above are apropos to my life as I’ve been involved in quite a number of things since my last post. So let me start with the fact that there’s been a date change for the “ZenXpressions” showcase (see more below). I’ve been busy teaching and taking classes and have put up pictures in the gallery for you to look at. When I returned from my cruise I had scheduled a Zentangle workshop at Botanica. We ended up with 34 students and it was a great learning experience for my and the students. One student in particular came with some of her work (she had started creating about a month prior to the class) and her talent was remarkable! There were lots of talented people in the class but her’s in particular was extraordinary. I encouraged her to look into becoming a Certified Zentangle Teacher. As a teacher, I realize that I need to stretch my own abilities past what I already know. Elizabeth St. Hilaire Nelson was teaching a paper paintings collage workshop in Lincoln, Nebraska, which I took advantage of since it was only four hours from my home. It was three glorious days of making our own printed papers and learning her technique for creating paper paintings. From afar they appear to be impressionistic, but when you get up close and personal you realize that they are made of painted papers. How fun is that? All of the students who were there did a fantastic job…we had people from all walks of life, from fabric artists to surgeons. The night before we left, my roomie and I held a “soiree” (I really like that word, I’m going to start using it instead of party when I have people over…reminiscent of a by-gone era)! Everyone brought something to add to our stash and we had a great time talking art, techniques and learning about each other. My piece is shown to the left. 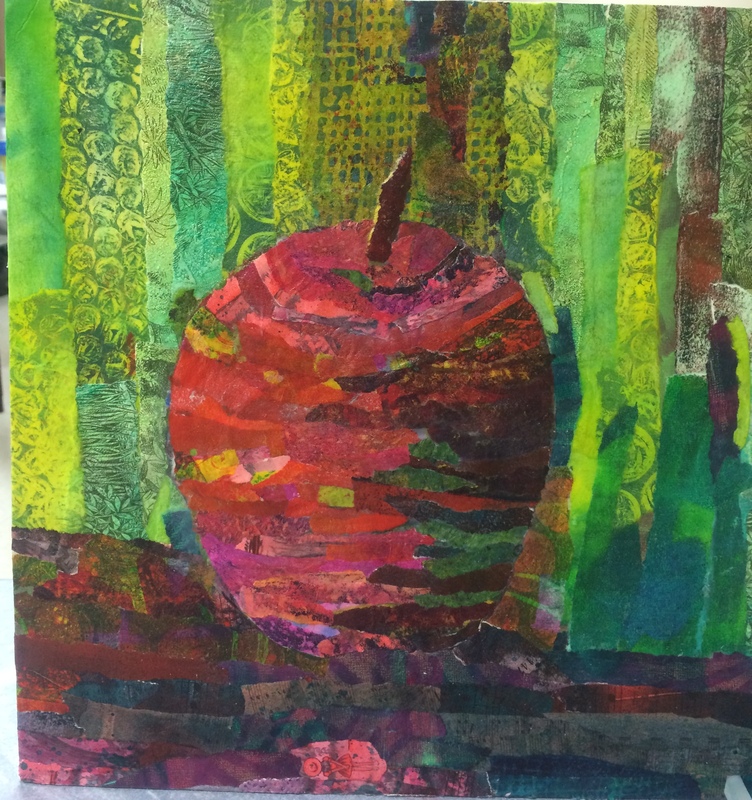 For my first try I was pretty pleased, more so with the background pieces than the apple and foreground. My favorite part of the project was painting the papers; I need more practice on my collage skills. OF NOTE… there has been a change of date for the “ZenXpressions: A Showcase of Zentangle Inspired Art“. It will now be held Final Friday, September 25, 2015. The only thing that has changed is the date, SO DON’T PANIC!! Those of you who have already registered, I will contact you directly about this. For the rest of you, it gives you time to continue creating your Zentangle inspired art pieces to show. WHAT I WANT YOU TO UNDERSTAND: This show is not just for those of you who think you are “qualified”. This show is to share Zentangle inspired art with the City of Wichita. Many times the voice in our head tells us that our work isn’t “good enough” or “I’m not as talented as so and so”, or “I don’t have enough of a creative mind to share what I’ve done.” Well, let me tell you, do not to listen to that negative part of your brain!! JUST DO IT! You would not believe how creating a small sketch, coloring in a coloring book, trying your hand at a painting, scribbling in a notebook, or making something out of twistee ties helps to fuel your creative brain and fuel your life to help you with the choices you make. So start making your Zentangle inspired art pieces, register for the show and begin to find your artist within!! Click here for all the info you need! Fun, food, drink, and prizes will all be part of the show…so join us and also help us get the word out by inviting to the event (here’s the Facebook invite). 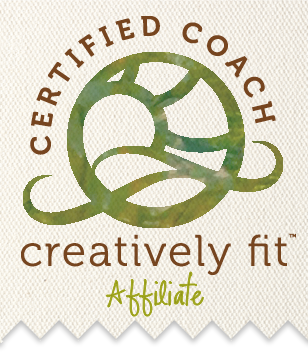 In my February 4, 2015, post I mentioned that I am on the Creatively Fit journey with my own artist within. I’m almost finished with my certification and want to share part of that journey with you. In my earlier post my “aha” moment was to “be in the moment” — a revelation to me. I am so enjoying just painting and playing now, and watching as my artist within becomes stronger with each passing day. My perspective on things has changed and my imagination has begun to become a bit more imaginative. I admit I still have a lot to learn. Whitney Freya’s book, “the artist within – A Guide to Becoming Creatively Fit” is a wonderful book, full of insight, storytelling, creative exercises and principles. Going through her program and book has been amazing and I learn something new each day! This year I’ve created more things than I think I’ve done in the last 20 years! 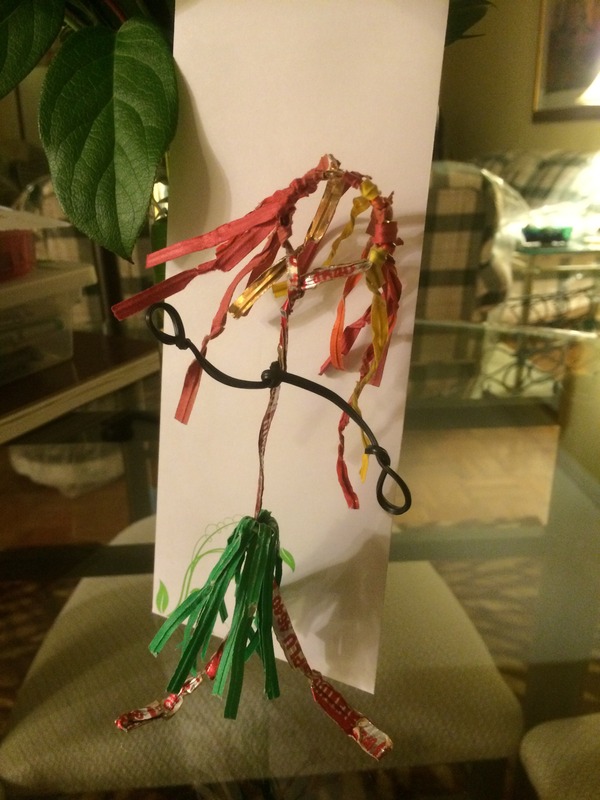 Even down to the silly little twistee tie hula lady (one of the exercises – pull out stuff from a junk draw and see what you can make). Actually, I think she’s my favorite. I’ve named her Hula Hannah and she sits in my dining area to remind myself to be silly and see what I can conjure up! Such a simple little thing, but again such a revelation. Links are included throughout this post if you want to know more, but suffice to say that I can now start sharing this artFULL and colorFULL journey with you!! The first step will be to offer what is commonly called “Paint and Sip” classes. These are painting classes, which I’m calling Viva Art & Vino, that last around two hours or so — you bring your own bottle of wine, a friend or two or three, and have a fun evening of painting, socializing, and embracing your personal creativity. No previous experience necessary!! The second portion of the journey will be Viva Art & Life, for those of you who are interested in exploring and utilizing art as a form of life inquiry, to better understand yourself and others, and find out what it is you really, really want – to be, to do, to have. Again, no previous experience necessary!! The Viva Art & Life series will be session programs, anywhere from a weekend to a series of classes for a certain number of weeks. There will be more on that in my upcoming blog posts. As of right now the Viva Art & Vino classes will start on June 18, 2015, and will be held at Three Pea Consignment, 4729 E Central, Wichita, KS (Southwest corner of Oliver and Central). Take one or take ’em all. I’ll send out an email and blog post letting you know where you can see what paintings we’ll be doing, what dates they’ll be offered, and additional information. That should occur by the beginning of June. I’m currently working on the website and it should be up shortly. A portion of the class proceeds will be donated to Circles USA – Wichita, a national nonprofit that is helping to resolve poverty. Special store discounts will also be offered if you find something in the Three Pea you just gotta have!